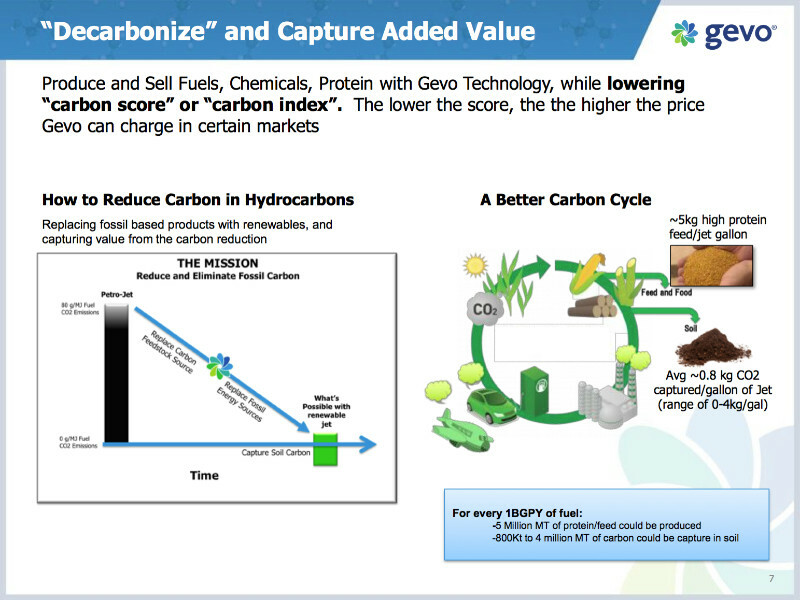 by Jim Lane (Biofuels Digest) Gevo is a renewable technology, chemical products, and next-generation biofuels company. Gevo has developed proprietary technology that uses a combination of synthetic biology, metabolic engineering, chemistry and chemical engineering to focus primarily on the production of isobutanol, as well as related products from renewable feedstocks. Gevo’s strategy is to commercialize bio-based alternatives to petroleum-based products to allow for the optimization of fermentation facilities’ assets, with the ultimate goal of maximizing cash flows from the operation of those assets.